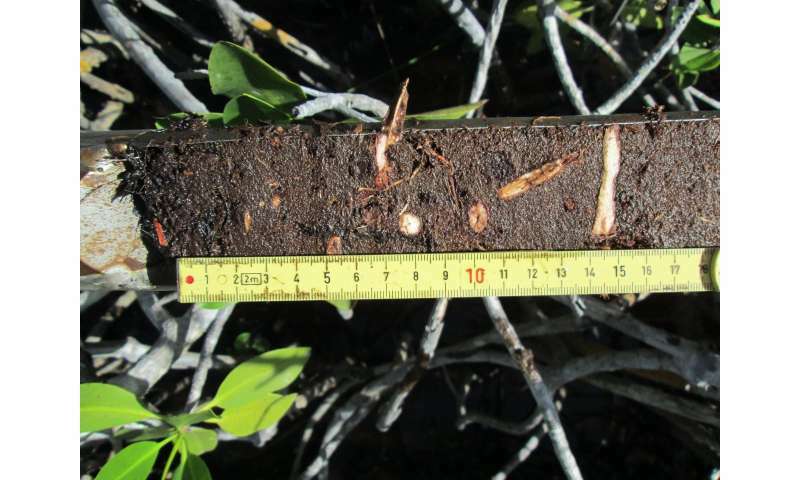 Mangrove soil core sample collected from Taylor Slough in the Florida Coastal Everglades. This sample shows a high amount of and organic contents and roots. Credit: Andre Rovai, LSU. 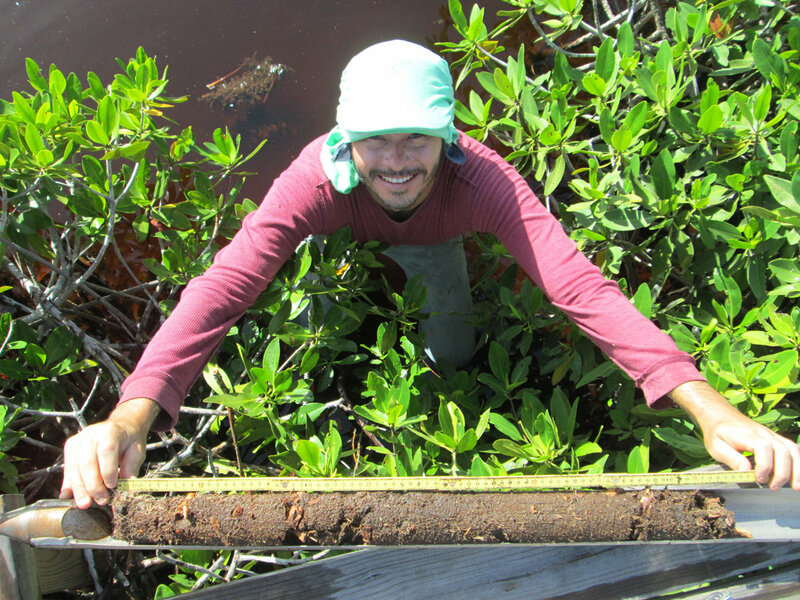 Coastal scientists have developed a new global framework to more accurately assess how mangroves along different types of coastlines from deltas to lagoons store carbon in their soil. They found that previous studies have underestimated the blue carbon levels in mangroves by up to 50 percent in some regions and overestimated levels by up to 86 percent in others. Their study published recently in Nature Climate Change will help countries develop and evaluate their carbon footprint and blue carbon inventory that potentially can be used in the global marketplace. "We took a huge step further by testing a robust model that more clearly defines the global variation of carbon storage of coastlines taking into account different tides, river flow, geology and rainfall that occurs around the world," said co-author Robert Twilley, who is Louisiana State University (LSU) Department of Oceanography & Coastal Sciences professor in the LSU College of the Coast & Environment and the executive director of the Louisiana Sea Grant College Program. Carbon is one of the most abundant chemical elements on Earth. It is in the atmosphere, the ocean and the human body. It is also part of carbon dioxide—a gas that comes from both natural and manmade sources—from exhaling to car exhaust. Excess amounts of carbon dioxide emitted into the atmosphere is connected to climate change. Carbon dioxide concentrations in the atmosphere reached a historic high this year. However, the ocean and coastal ecosystems can store large amounts of this excess carbon from the atmosphere—referred to as blue carbon. Mangroves are considered blue carbon ecosystems similar to green carbon ecosystems found on land in forests and grasslands. Mangroves, saltmarshes and seagrass beds are connected to the shallow intertidal parts of the ocean, where they accumulate more carbon from the atmosphere than they release thus serving as blue carbon sinks. Mangroves are unique. They are tropical forests that thrive in salt water and are found in a variety of coastal settings from deltas to estuaries to weathered reefs and limestone rocks worldwide. Mangroves are able to store vast amounts of carbon in its soil for long periods of time thus helping reduce the amount of carbon dioxide in Earth's atmosphere. 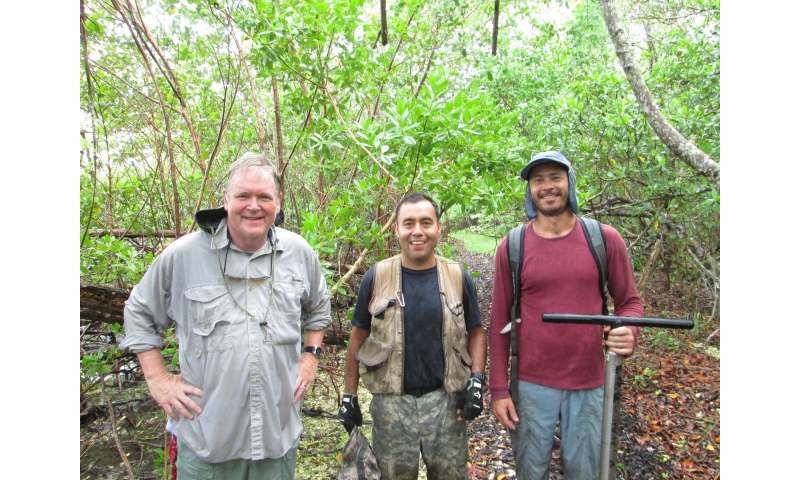 Scientists Robert Twilley, Edward Castaneda and Andre Rovai collect mangrove soil core samples on Sanibel Island, Florida for their global blue carbon study published in Nature Climate Change. Credit: Andre Rovai, LSU. 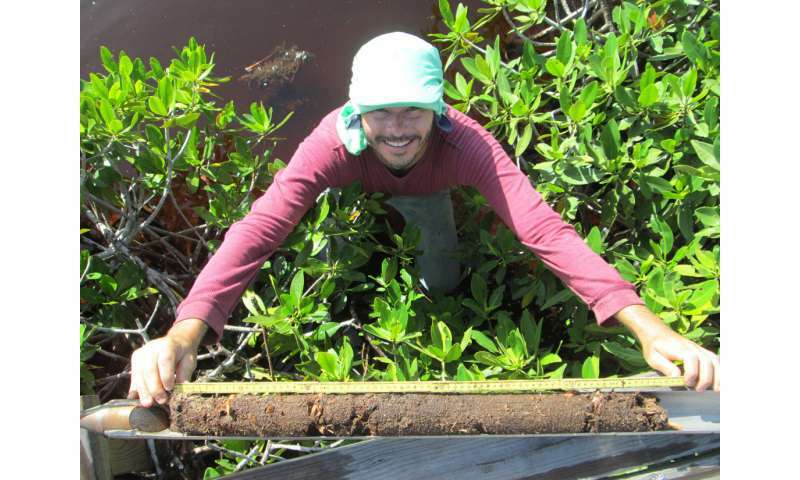 The scientists focused their study on the neotropics, which covers the southern U.S., Central America and South America where about 30 percent of the world's mangroves live. The neotropics are considered a global blue carbon hotspot. However, many countries lacked blue carbon data until now. "We saw an opportunity to improve the contributions of tropical countries around the world in mitigating carbon enrichment in the atmosphere by putting together a higher quality dataset and using a sound conceptual model of how different coastlines serve as carbon sinks to guide our modeling approach," said lead author Andre Rovai, who is a LSU Department of Oceanography & Coastal Sciences post-doctoral researcher in the LSU College of the Coast & Environment and is working with Twilley. 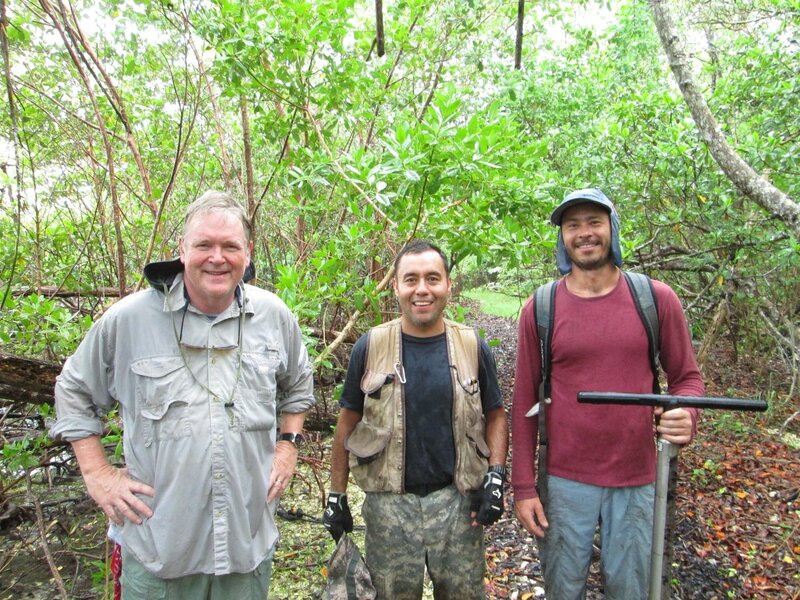 Rovai and his colleagues from Brazil, the U.S. and Costa Rica collected soil samples from 36 mangrove sites spanning from the Florida Coastal Everglades to south of the Amazon in Brazil. They measured the amount of carbon in the samples. They found that blue carbon has been underestimated by up to 50 percent in coasts with limestone rock, such as those found on the southern tip of Florida and in the Caribbean. The scientists also found that blue carbon has been overestimated by up to 86 percent in coastal deltas in previous studies. In addition, this study provides new estimates for about 57 countries that lack blue carbon data. 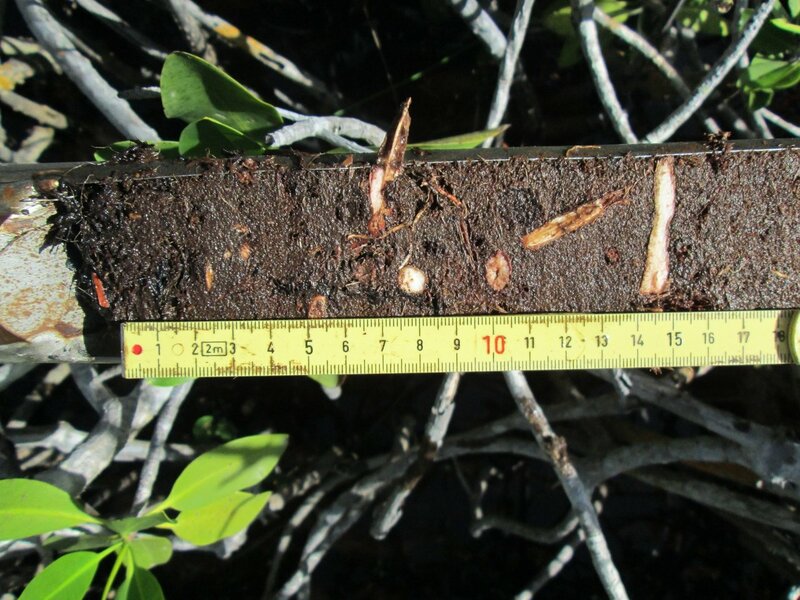 "We developed the first global blue carbon estimates of mangroves back in 1992, but this study uses a vast amount of new information on blue carbon together with a novel modeling approach to include unique coastal characteristics, such as tides and river flow, to improve the accuracy of global predictions, especially concerning how carbon storage may vary from one country to the next," Twilley said. Tides aid in the exchange of nutrients, which can also flush out carbon; so mangroves located in areas with little to no tide tend to have higher blue carbon levels. Blue carbon levels also respond to river flow, which controls the type and rate of sediment and nutrient load to coastal oceans. These processes had not been factored into previous global blue carbon assessments. "We hope our framework will provide countries with a more powerful tool to assess how their mangroves are mitigating carbon in the atmosphere, which will help these countries develop or revise their carbon dioxide emissions' inventories," Rovai said.